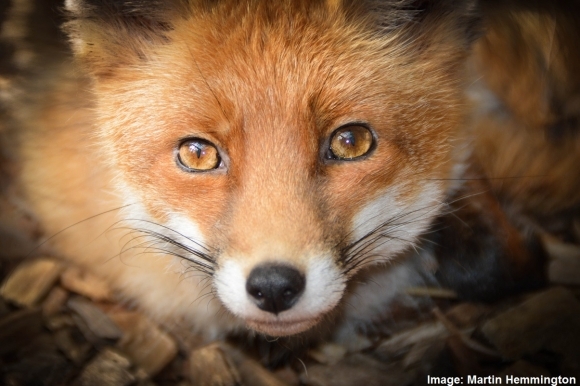 By Martin Hemmington, National Fox Welfare Society. Read blogs about the other mammals in the #UKMammalPoll and vote for your Favourite UK Mammal. 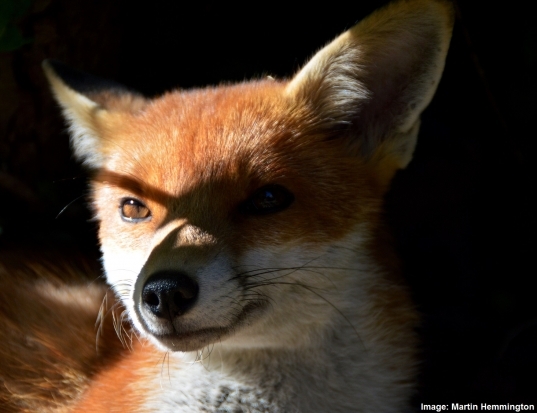 A master of adaptability, survivor against the odds, and an animal that divides opinion across the UK: the red fox has now taken over from the gray wolf as being the most widely distributed terrestrial mammal. It can survive and thrive in both town and country and has become a familiar sight for many. Foxes are not invading our gardens, it is us, with our need for ever more housing, who are actually invading theirs! People never question observations of wild birds or hedgehogs in their gardens, but often ask, ‘What are foxes doing in towns and cities, when they belong in the countryside?’ Others will feed birds and hedgehogs, recognising it may be difficult in certain months for them to secure enough natural food. The opposite is true of the fox, which people are often wary of feeding so as not to encourage return visits or breeding. However, foxes play a very important role in our towns and cities which we very rarely give them credit for. The red fox is not only our urban street cleaner but also our natural pest controller; eating discarded food that would otherwise attract rats and mice, and predating on both. The average lifespan for both town or country foxes rarely exceeds 18 months and it is estimated that approximately 75% of foxes die in their first year, with 50% dying in each following adult year. Although some can and do live to the ripe old age of nine, it is estimated that only one in 10,000 will do so. Although we call it the red fox, many color variations exist in the wild, ranging from strawberry blond, to silver and rustic red. However, it is their dog or cat-like behavior, in addition to their beauty, that has won the fox many fans. Thought by many to be the size of a German Shepherd dog, these sleek animals weigh the same as a domestic cat, averaging 5kg for a vixen (female) and 7kg for a dog fox (male). Although not pack animals, foxes are very sociable and whilst they hunt alone, when they meet family members on their night time foraging activities, they will often stop to groom one another; strengthening their bonds. They can also communicate with each other very much like dogs; with facial expressions, body posturing, and some twenty-eight different vocalisation categories which range from greeting noises to warnings and contact barks. When asked about a fox’s diet, the first thing people usually think of is chicken! A fox is actually omnivorous and fruit is an important part of their diet during certain months of the year. They will hunt earthworms, insects, rats, mice, voles, birds and rabbits and require about 500g of food per day. A common argument against foxes is that they ‘kill for pleasure’, for example when they kill many chickens but only take one. However, when we go to the supermarket, rarely do we shop for one day. We usually get enough food in for the week and store it. A fox will do exactly the same. When it comes across an unnatural scenario where there are many enclosed prey animals, it is triggered to go on a killing spree. The fox will then take a chicken to de-feather and eat. However, left alone the fox will come back to get the other dead chickens and bury (cache) for a day when food may be in short supply. In short, a successful predator will kill even when not hungry and store the food: not so different to us. Some people successfully keep foxes in enclosed areas (as pets or as part of rescue work like myself), so although it is challenging, keeping them both in and out is very possible! Not everyone is going to love foxes, but I would like more people to learn to understand them. They are not cunning bloodthirsty animals – they have an important role to play in nature and our shared environment – and they, like us, just want to survive.